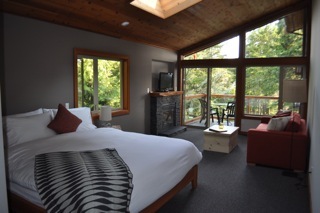 Check in & Chill out in one of our Ocean Front, Spring Cove, or Forest View cabins and suites. 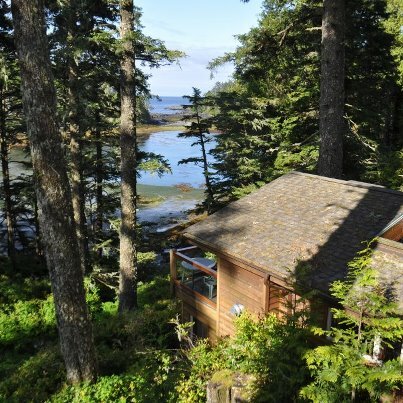 Located at Terrace beach in Ucluelet – we are just steps from the Wild Pacific Trail and offer a variety of mainly self-sufficient cabins and suites to give our guests a great place to call home while exploring the area. If you are looking to ‘do your own thing’ and have a wonderful base while you get out and about – come see us! 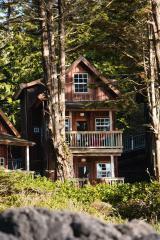 Beautiful BC timberframe cabins include fully loaded kitchens, double soaker jacuzzi tubs (some overlooking the Pacific Ocean and Terrace Beach),gas or electric fireplaces, wireless internet, BBQ’s, TV’s with DVD, and most units offer washer/dryer. Pets are always welcome! Visit the website directly for a full list of current rates and call daily for specials!